Marriage and having children may be the life events that traditionally have prompted people to transition into homeownership. But for some millennials, the need for more space is particularly tied to their furry friends. 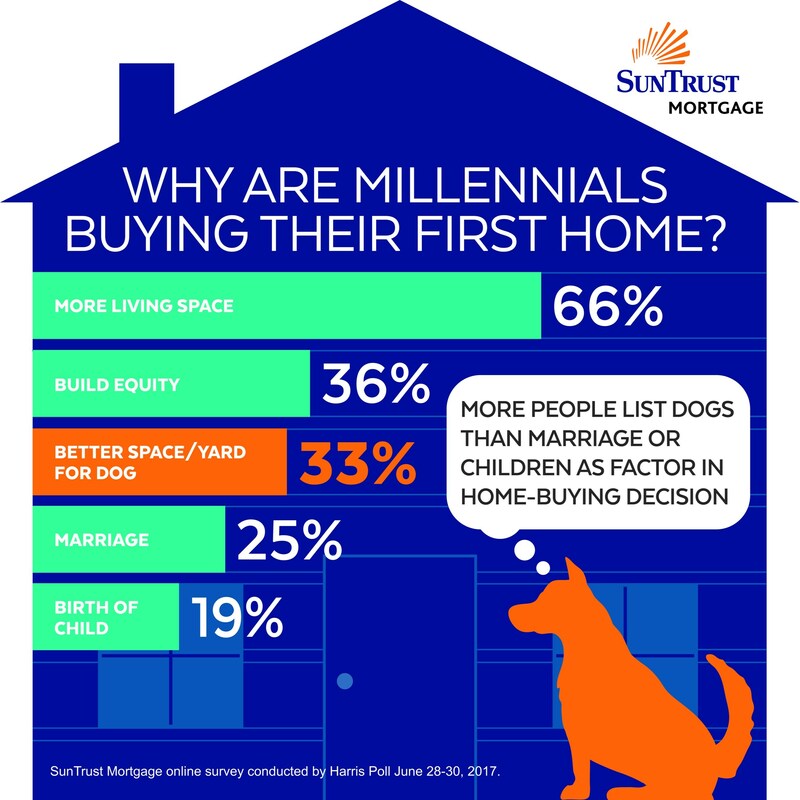 A third of recent home buyers ages 18 to 36 say their decision to purchase was based on the desire for a larger property with a yard for their dog, according to a survey conducted by Harris Poll on behalf of SunTrust Mortgage. While 33 percent of 412 millennials surveyed listed their pet as their top homebuying motivation, 25 percent listed marriage and 19 percent listed the birth of a child. The only factors respondents ranked higher than dogs are the desire for more overall living space (66 percent) and the opportunity to build equity (36 percent). Forty-two percent of millennial prospective homeowners say their dog—or their desire to adopt one—is a key factor in their desire to purchase a home in the future, according to the survey.